Factors that may influence which industrial properties you consider buying include any hidden fees and running costs that you may not already have taken into account. Additional costs involved may include business rates, and various running costs. Being aware of these additional costs will make it easier for you to make the right choice when you're searching for an industrial property for sale in Woking with MOVEHUT. 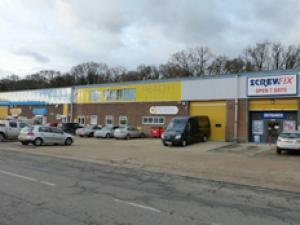 There are a multitude of possible uses for industrial property for sale in Woking. Perhaps you're searching for an industrial property for use as a distribution facility, for instance. 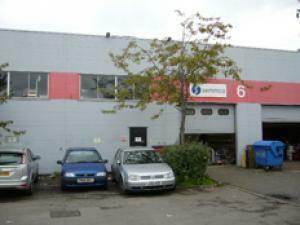 You may be searching for an industrial property in Woking for a completely different use. Whatever type of industrial property in Woking you're searching for, MOVEHUT can help. Every industrial property in Woking comes with a classification, which determines its permitted usage. When you start your search for an industrial property for sale in Woking, it's worth checking out that the classification code is exactly the right one for you. 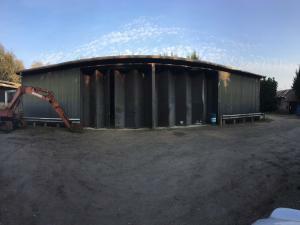 Start your search for industrial unit for sale in Woking with MOVEHUT once you've learned the classification code that matches your planned usage. If you're searching for an industrial property for sale in Woking, MOVEHUT is the best place to begin. You can refine and filter you search in various ways to ensure you're presented with only the type of properties you're interested in. Start searching for industrial unit to buy in Woking with MOVEHUT and you're sure to get the right results. Prices for industrial units in Woking can vary hugely, so finding one for sale that matches your budget shouldn't be a problem. Whether you're looking for an industrial property that costs Â£50,000 or Â£1,000,000 in Woking, MOVEHUT will have the perfect premises for you in our to buy listings. Your property budget will ultimately define what you can get, and MOVEHUT will help you find the perfectly priced industrial unit in Woking. 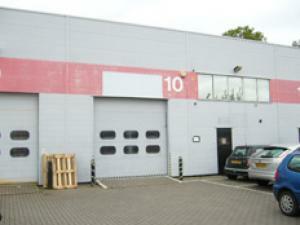 Searching for an industrial property to buy in Woking means you want to find an ideal location. You will want an industrial property location that allows you the necessary business routes that you might require in Woking. At MOVEHUT, we have a range of industrial properties to buy in Woking, making it easy for you to find one in a location that's right for you. If you decide to book a viewing for an industrial property in Woking, then you will need to remember a few things. When viewing an industrial property in Woking, always remember to check for signs of leaking or water damage before agreeing to buy. Asking the vendor to demonstrate that the electricity and water facilities are in full working order would also be advisable in the industrial unit. When you're viewing an industrial property to buy in Woking, don't forget these tips from MOVEHUT. There are two basic types of industrial property to consider when searching for a unit in Woking. The manufacture and assembly of electronic goods would fall into the category of light industry, for example. In contrast, heavy industry would include motor manufacture or chemical production. Regardless of your plans, our aim is to make your search for an industrial property for sale in Woking run as smoothly as possible.